Off message. 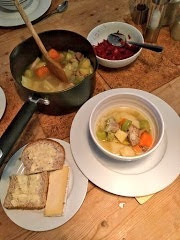 Ashamed to say that for the 1st time ever I cooked a traditional #Welsh #Cawl. Salt Marsh Lamb, carrots, spuds, parsnips & of course leeks. Forgot the swede. With wholemeal bread, welsh butter, caerphilly cheese, pickled red cabbage. Hat tip Jamie Oliver who uses 5 times world Cawl champion, Sue Jones recipe. Only salt and pepper seasoning. I didn't leave the dish overnight as recommended. Cheese and lamb went surprisingly well. Lovely, even if I say so myself. Will cook my more usual #scouse next week to compare. Lots of interest on Facebook about this post. Lamb stew in all its forms is very important to lots of people. I found it fascinating that one person remembered that the father had the lamb pieces while the children had mince. I wonder what the mother (and cook) had? Working class home cooked food is as interesting (or more so to me) as all these posh professional cooking shows. 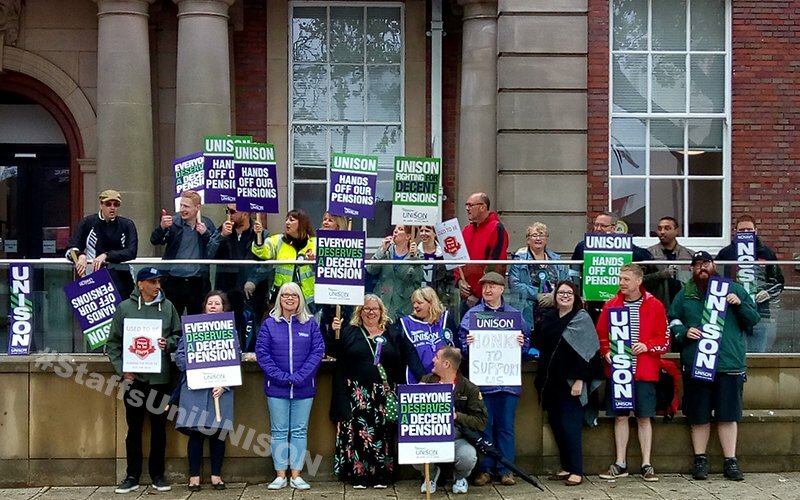 Good luck to UNISON members in Staffordshire University striking again tomorrow to save their pensions. The University is planning to get rid of its existing pension scheme for its low paid workers and replace with a rubbish scheme that will mean they will retire and die in poverty. 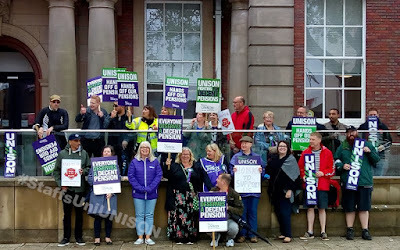 How on earth can parents and students support an institution that cheats its low paid workers of a decent pension? 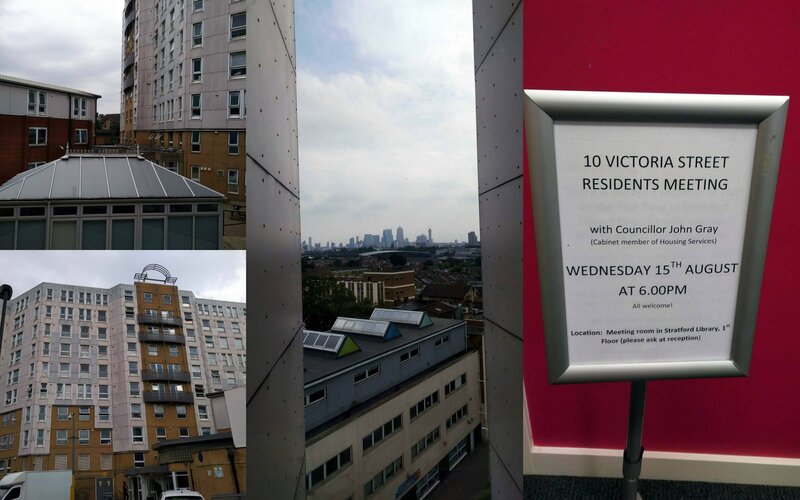 On Friday I went on a "walkabout" with residents and Newham Housing officers from the top to the bottom of Brassett Point in my ward. It is always encouraging when you see residents who actively care about their homes and their environment. 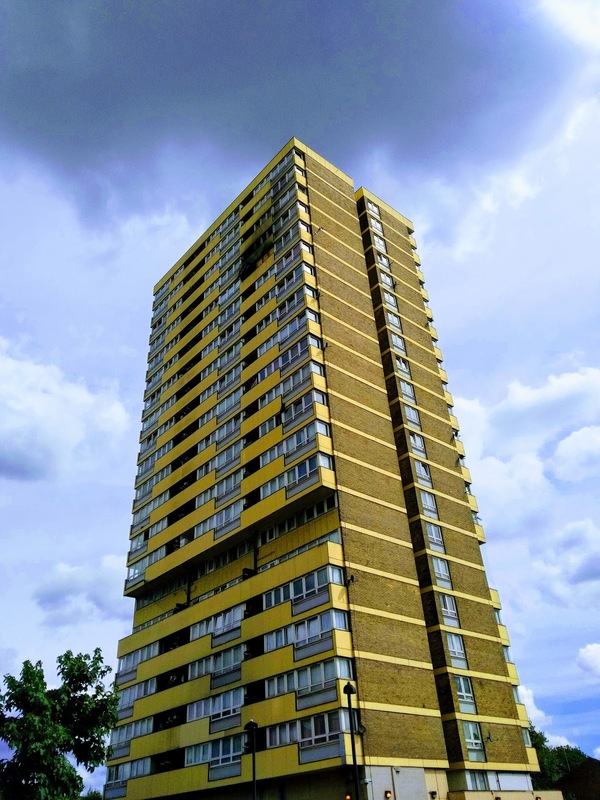 They have collected a petition, which 90 out of the 120 flats have signed, calling for improvements in communal repairs and stopping anti-social behaviour. A number of actions were agreed and there will be follow up inspection later in the year. The sister block nearby, David Lee Point (see picture left who also sent a resident representative) will be next. By coincidence it was good to meet up with former colleagues from Tower Hamlets Council. I used to work with Agnes, now a local resident, (2nd from right above) when she was a Homeless Officer and Bob, a local caretaker (not in picture) we met on the walkabout who used to work with me on the Ranwell East (Roman Road) estate. The longstanding Leather Gardens TRA rep, Ted Nolan (1st on left), was there as ever, to keep things moving along and all of us in order. 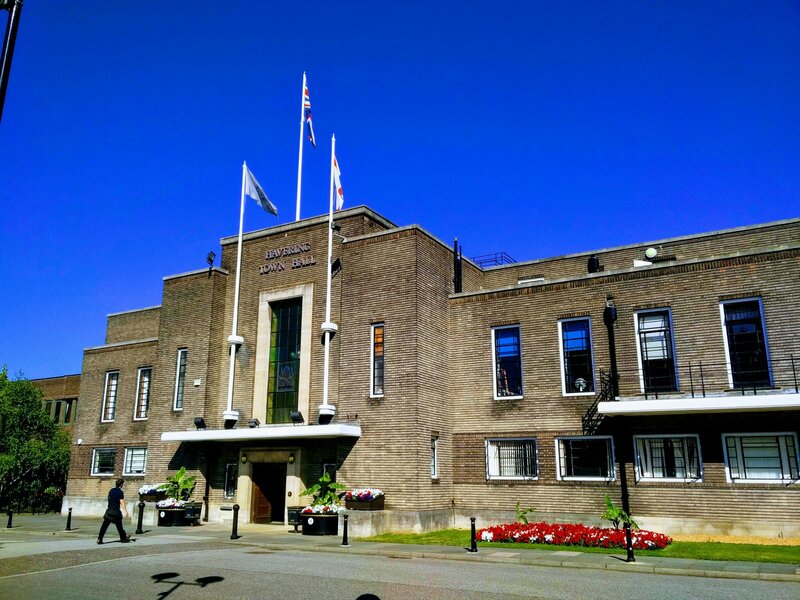 The residents will be handing in their petition at the next full Council meeting and are planning to send in a delegation to speak at the meeting. They are also going to set up a Facebook page for the block. Mears Cats Action Aug 2018_ from Hero Austin on Vimeo. Video from yesterday's action by Newham residents at Housing Contractor, Mears PLC headquarters in Enfield. Newham Mayor, Rokhsana Fiaz and I joined the action to show solidarity with our residents and also to hand deliver a letter to the Mears Chief Executive Officer, David Miles, calling for a urgent meeting with him and the Mayor. 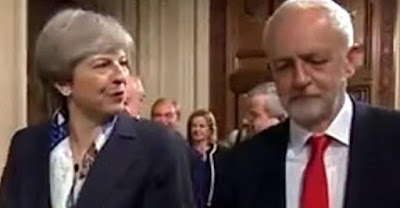 "Shocking picture shows Jeremy Corbyn with extremist leader of rogue island nation"
"A shocking new picture has emerged of Jeremy Corbyn appearing to converse with the extremist leader of a rogue island nation that sells weapons to Israel, Saudi Arabia and Syria. The picture allegedly shows Jeremy Corbyn talking to Theresa May, the barely-elected leader of Britain. Britain is a rogue island nation that has been selling weapons to terrorist states for decades. It’s currently in the middle of trying to leave the European Union. ‘Britain is one of the most dangerous nations to the safety of the world and here we see Jeremy Corbyn having a cosy little chat with its leader. It’s an absolute disgrace,’ said one furious centrist. The under-fire Labour leader has admitted that he was once in a room with Theresa May. ‘I was present when Theresa May tried to converse with me, but I don’t think I was involved,’ he claimed." Following a visit to residents homes with officers from Newham Council I spoke yesterday at a lively but constructive residents meeting in Stratford Library. Lots of things to do to improve our service and offer. Many thanks to housing campaign Group @FocusE15 for helping to organise and Chair the visit and meeting. "Mayor Rokhsana Fiaz reflects on her first 100 days in office and pledges to continue to drive the change that Newham needs and for the benefit of all"
If a Police Officer can have his pension scammed then is anyone safe under Tory "Pension freedoms" ? Check out this BBC report about a serving Police Officer who was cheated out of his pension but managed to win £135,000 compensation from the Ombudsman for his fund's failure to properly warn him about risks. The Police Officer had been "persuaded" by his financial advisor to transfer his very safe and secure government backed Police pension into a completely dodgy scheme which it appears was then "lost or misappropriated". While some may argue that a Police officer should know better, to me this shows that if a Police Officer can be conned out of their pension, then anyone can and that the Tory (and Lib Dem coalition) so called "Pension freedoms" have enabled con merchants to pray on ordinary peoples lifelong savings. Since I used to work in financial services I know first hand how convincing and sophisticated these fraudsters are and also how extensive institutional corruption can be. I think that my personal views on institutional LOBO and LIBOR rips offs are well known. What a complete and utter mess. No wonder ordinary working people have little confidence in our financial services and its regulation. I am appalled that Sir Steve Webb, the former Penision Minister, who introduced "Pension Freedoms" and now works for the industry is also quoted as blaming pension schemes for these cons and not apparently taking any responsibility himself for the "Pensions freedoms" policy which is facilitating even more cons to happen. Recently as Cabinet member for Housing Services I was called to answer questions by the Newham Overview and Scrutiny Committee. This is a statutory committee of Newham Councillors whose role is to hold the Councils Executive members to account and make recommendations. As a backbencher Councillor for the previous 8 years, I had been a member of various scrunities (some longer than others) but this was the first time I had appeared as a member of the Executive. The Chair asked me to first give an outline of my housing brief for the benefit of the Committee. I explained that the present housing structure in Newham had been drawn up by the previous administration who had intended that all Councils services should be "outsourced". The new Mayor, Rokhsana Fiaz, has put a stop to all "outsourcing" and ordered a rethink and corporate redesign. So things will change. 1. Traditional Council social housing management of our stock: repairs, rents, voids, allocations, residents engagement, Anti social behaviour (ASB), fire safety, right to buy, tenancy and leasehold enforcement. The Mayor has reserved the regeneration, planning and strategic delivery portfolio. 2. Homelessness and temporary accommodation (although not rough sleepers. The published minutes need correcting slightly on this), assessment, advice, support and prevention. 3. Private sector rental licensing and enforcement, including houses of multiple occupation (HMOs), advice and support. We really want to work with and support landlords but we won’t hesitate to drive bad and criminal landlords out of Newham and into the Courts. There are still a few grey areas (pardon the pun) about the scope of my brief due to the fragmented nature of the current structure. Number one is fire safety in our blocks including the removal and replacement of unsafe cladding. This is costing us a huge amount of money (waking watches) and it would appear that the Government will not reimburse anything like our total costs. Review our entire allocation policy including the suitability of the offer for homeless temporary accommodation in light of the new Mayoral priorities and also changing Government policy. We have nearly 27,00 households on our waiting list and nearly 5,000 households in temporary accommodation. I suspect due to "sofa surfers", homes with grown up children who cannot afford to find a place of their own as well as all those private sector tenants, who have to spend most of their income on rent that the real figure of those in housing need is far higher. Reform RMS repairs: (our in house repairs maintenance service). We have a number of good staff but the repair service is currently not good enough. RMS also has a limited new build module housing capacity which could be used more to build new homes on unused areas in estates. Anti-social behaviour (ASB): While enforcement is not the only tool it is important. Too many residents live in fear of a tiny number of violent and abusive residents. Fragmented caretaking service: This has been hived off the control of housing management. This has made it difficult to do anything about these services, particularly those services in estates, as I have no authority to manage these services. Tackling housing poverty by supporting residents getting advice about benefits and support into decently paid work. We need to make sure "that work pays". This will reduce evictions and homelessness. The need for Culture change and Resident Representation: There had to be a culture change on the part of both Members and officers in the way in which they interacted with residents, if residents were to be "at the heart of everything we do". 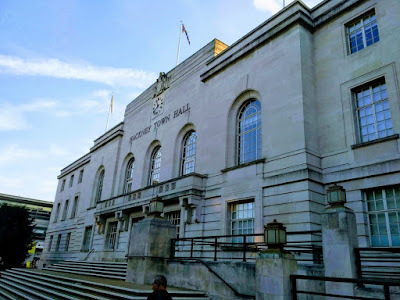 There are practically no tenant and/or resident representation in Newham and while an annual citizens assembly on housing would be a good thing, it would not be a substitute for a proper democratic and accountable TRA. While we did not want to return to the “bad old days” when in some cases a small number of tenants had dominated the Tenants’ and Residents’ Associations (TRA’s) for their own ends. We need to carry out a review of tenants’ and residents’ representative structures as soon as possible. Private Sector Housing Licensing - Enforcement: There will be an increase in the number of housing inspections undertaken to ensure that landlords were complying with the terms and conditions of their licences. Inspections and enforcement action are key to ensuring compliance and making landlords aware that non-compliance would not be tolerated. I am not at all opposed to properly managed private rented sector accommodation and I would expect any Councillor who rents property to be an exemplary landlord. Planned Maintenance: We need to have planned maintenance and refurbishment programmes for Council properties. They are much cheaper than carrying out emergency repairs and better for residents. The “Decent Homes” programme ended eight or nine years ago. Therefore, there was a need for a properly planned programme. A housing stock survey is about to take place which will guide this. 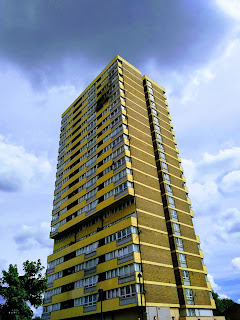 Housing Associations: My own casework had shown me that the management performance of a number of housing associations within the borough had been abysmal. Therefore, if housing associations wished to work in partnership with the local authority, and I welcomed partnership working, it was necessary for poorly performing housing associations to improve. In response to a question about the high cost and poor quality of some temporary accommodation I explained long-term lease agreements with decent landlords may provide an alternative form of accommodation and would do away with the requirement to pay a expensive “nightly” rate for private sector temporary accommodation. Landlords want long term security of income. There are now a greater number of Council inspections of such accommodation. We are also thinking of buying and leasing properties. Regarding the adverse effects that bad landlords had on their tenants, neighbours and good landlords, I hoped to see an increase in the number of prosecutions of bad landlords and an increased number of costs orders in the Council’s favour. Also, in the case of illegal evictions, I would want to see if necessary, custodial sentences for landlords to change their behaviours. 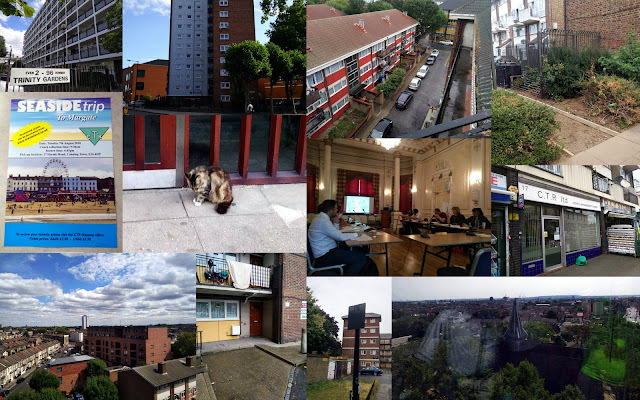 (picture college of some of the housing visits and inspections I have undertaken in last week). I agree with UNISON General Secretary, Dave Prentis, in this article published yesterday in the NewStatesman where he calls for the Labour Party to adopt the "full IHRA definition of anti-Semitism including all the examples"
As an experienced trade union rep who has been defending members accused of breaching discipline procedures and codes of conduct for many years I cannot see a problem with the “examples”. As an elected lay member of the UNISON National Labour Link committee, I voted with colleagues to support the definition and include the examples. I understand that many members do not have confidence in the internal Labour Party discipline process but that is a very different (but still important) issue. This lack of confidence is being tackled by the NEC and the new General Secretary, Jennie Formby. Time for us to move on and unite around attacking the Tories and not giving our enemies sticks to beat us with. "The language of priorities is the religion of socialism”. Seventy years on from the establishment of our NHS, those words resonate just as loudly today as when the great Nye Bevan first said them. Public services are in crisis. Our NHS faces year-round crises, not just a winter crisis. Local government has been cut to the bone and beyond, with the mismanaged mess of Northamptonshire Council emblematic of austerity’s logical end point. Police staff, care workers and teaching assistants are under incredible pressure – continually forced to do more with less. Global challenges abound such as climate change, conflict, the refugee crisis and the rise of far-right populism. Meanwhile, our departure from the EU looms on the horizon, just over six-months away. Yet this bungling government still can’t guarantee your rights at work or the security of your pension. Whether medicines will still be available in our hospitals, or whether food will be available in supermarkets. Truly, 2018 feels like a year for strict prioritisation of the national to-do list. And yet what is it that fixates the Labour Party? It is – somewhat remarkably – an attempt to rewrite a widely-used, internationally accepted definition of anti-Semitism. Two years ago I was warning that “a small but significant minority engage in misogyny and anti-Semitism” in the pages of a national newspaper. It’s hard to argue that subsequent events, regardless of their intention, have lessened those concerns. Either in the Jewish community or the country at large. This issue is already costing Labour votes, as I saw for myself when campaigning in Barnet this year. But worse than that, it's harming Labour's historically close relationship with the Jewish community. And it's costing us the moral high ground from which to oppose all forms of racial hatred and oppression. Racism is a deep scar on our nation’s soul. Many would like to pretend that it’s in decline, but that’s not the case. Whether whipped up online by often anonymous trolls or marching through our streets, buoyed by the success of Trump and the alt-right, the racists are on the march. Those of us on the left need to meet them head on wherever they appear, but we also need to be beyond reproach when it comes to tackling race hate in all forms. Instead, when Boris Johnson shed his court jester act this week to engage in flagrant Islamophobic bigotry, too many of his supporters were able to wave away criticism of the former foreign secretary by saying “what about anti-Semitism in the Labour Party?”. Yet it isn’t too late for the party to chart a different course and begin repairing that damage as Jeremy Corbyn is clearly attempting to do. Anti-Semitism in Labour didn’t start under Jeremy, but I am confident that under his leadership it can be dealt with once and for all. 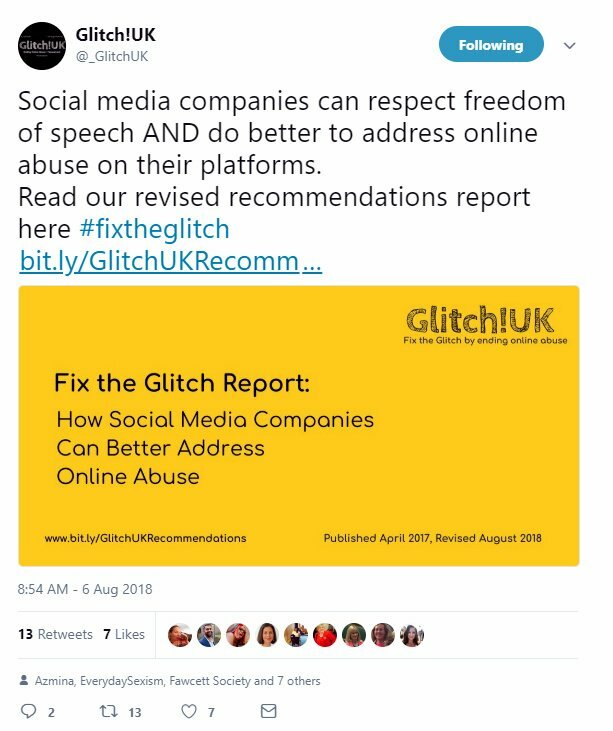 UNISON’s position on this is clear. Our National Executive Council earlier this year spoke with one voice against all forms of racism and, explicitly, anti-Semitism. We have committed ourselves to oppose it in all its forms - all of the smears and tropes that come with it – within our union, our movement, our party and in wider society. Our Labour Link committee, made up of Labour members and activists from across our union, has adopted the full International Holocaust Remembrance Alliance (IHRA) definition, with examples, and supported calls for Labour to do the same. 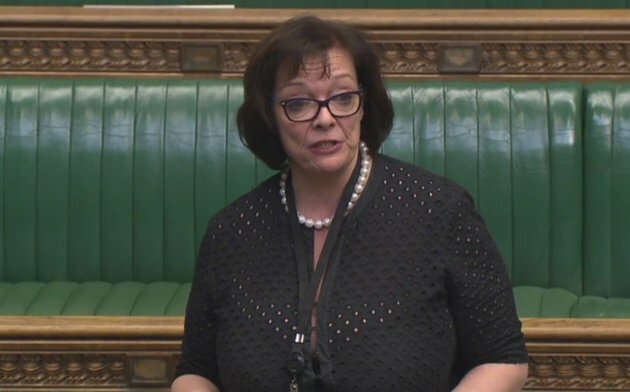 Of course, in this debate, there is always an elephant in the room – the oft-repeated assertion that you can’t criticise Israel without being accused of anti-Semitism. I hear it a lot, but I’m not buying it. I’m not buying it as a regular critic of the Israeli government, settlements, expansionism and the blockade of Gaza. I’m not buying it as general secretary of a union that has always been committed to the rights of the Palestinian people, proudly supports the Palestine Solidarity Campaign and supports Palestinian trade unionists as they face daily oppression. I’m not buying it as someone who has repeatedly called out the murder of Palestinian civilians by the Israeli army – including the shooting of unarmed civilians earlier this year. I’m not buying it, because it’s not true. 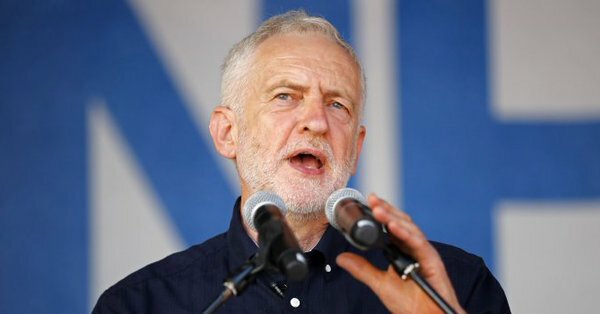 If you’re not capable of criticising Israel without being anti-Semitic, then you’re an anti-Semite – and we should make no special exceptions for you. The truth is, this should never have become such a divisive issue, an unnecessary schism in a party that on so many issues is genuinely united. A Labour Party that has so much to prioritise must always make winning the next election our number one goal. It’s the only party which can be trusted to stand up for the many yearning for change against the few who profit from poverty and decline. Right now, adopting the full IHRA definition of anti-Semitism including all the examples, removing those guilty of racism from our party and putting the issue of Labour and anti-Semitism to bed as quickly as possible is critical to doing so". "This looks fun! 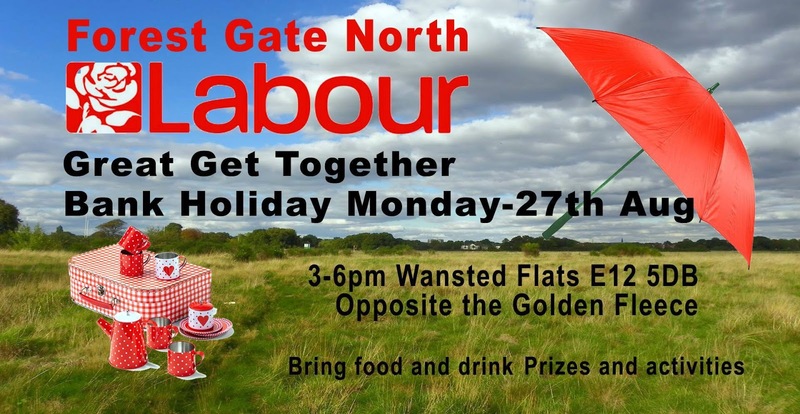 Forest Gate North are having a Great get Together Summer Social on Bank Holiday 27th Aug on Wansted Flats opposite Golden Fleece pub E12 5DB. Bring Food and Drink. Lots of prizes and activities"
I usually think that as a Labour Party activist it is a bit pointless for me to sign petitions calling for political opponents to resign over something they have said, no matter how stupid or offensive. 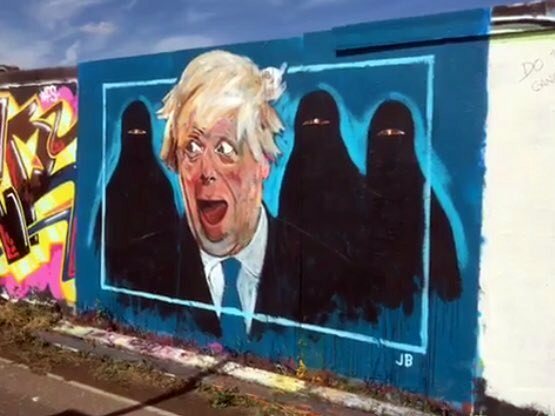 However, Boris Johnson's vile racism and islamophobia is beyond the pale and should have no place in modern day democratic British politics. I hope that fair minded Conservative supporters (yes, they do exist) will also support the call by the respected anti-fascist organisation "Hope Not Hate" for Boris Johnson to be suspended from the Tory Party. Boris Johnson uses his national profile to spout racist, hateful points of view. We can't let him get away with it any longer. We’ve had enough of Boris's loud-mouthed, unashamed racism – and we're calling on the Tories to suspend him from the whip. Agree? Sign our petition now. Off message but on Sunday we were supposed to go on a run around Wanstead Flats and Park but it was so hot that we walked instead for a hour or so. 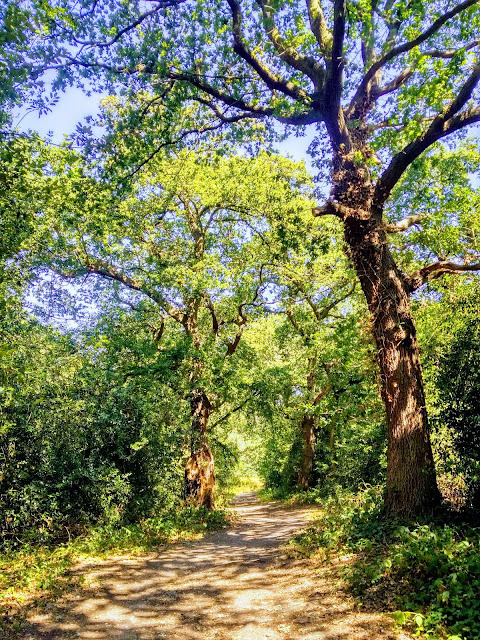 Picture is from Bush Wood (with a little help from Google photo assistant). I just love the greenery and the dappled sunshine. You cannot beat natural beauty. Recently, the Social Mobility Commission chief, Dame Martina Milburn, claimed that the huge cuts we’ve seen to schools, council houses, and support for families haven’t harmed the life chances for people. I don’t think that’s a great start, when the opposite is clearly true. She doesn’t think that lower pay for women is an issue for her commission, because “it doesn’t just affect people who are socially mobile”. Isn’t the point of the job to aim to get decent life chances for everyone? The cross-party Education Committee has reportedly expressed concern about the role of the social mobility commissioner, and her comments only make things worse. It’s reported that Dame Martina only applied for the job after the Education Secretary, Damian Hinds, phoned her personally to encourage her. It doesn’t give us hope that her new Commission will challenge the Tories, as it should. Today, we have more families than ever reliant on food banks and charities tell us that holiday hunger for kids is rife. The Government’s own statistics show 100,000 more children in poverty, just in the last year. And let’s remember, the vast majority of the 4.1 million children in poverty today have a mum or dad in work. Things are so bad, and the Government so unresponsive, that last December the Government’s previous Social Mobility Commission resigned, all of them. They had no confidence that the Government was actually listening to them. We need the Government to be responsible for ensuring we all get the opportunity of decent life chances – with ministerial accountability to drive forward a strategy across every department. We need to ensure the Government works for all people - from schools and apprenticeships, to affordable trains and buses; to the creation of real jobs with decent pay and a living wage for all. Most of all, we need someone to knock heads together in the Department for Work and Pensions. We don’t need Esther McVey to spend £200,000 of our money to discover that Universal Credit has been devastating for thousands and thousands of families. We just need the benefits system fixed. Labour puts social justice for all at the heart of our plans so we can transform our country for the many not the few". A new update by Glitch UK on how Social Media can protect freedom of speech and tackle the appalling abuse on their platforms. "Are YOU fond of Cycling? 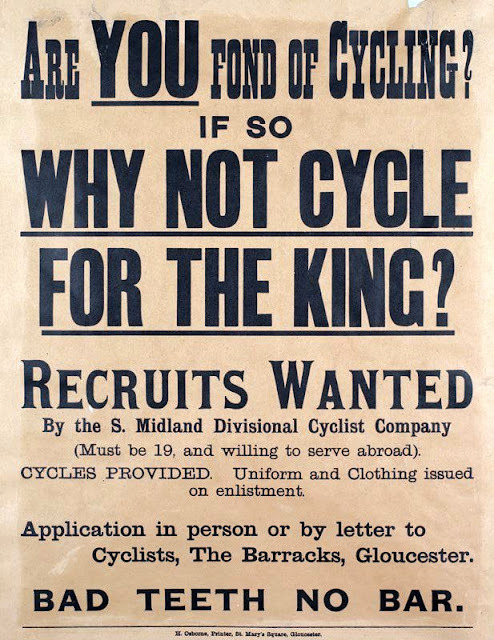 If so WHY NOT CYCLE FOR THE KING...Bad Teeth No Bar"
I have asked London Cycling Campaign on twitter whether a more modern version of this (1915) appeal be something they would support? One response I got back expressed concern at the lack of concern about cyclists bad teeth. Hat tip War Art on twitter. If you ever wondered what UNISON and the trade union movement does...watch this video. Well worth 2 minutes and 53 seconds of your time. Hat tip Newham Recorder for a pretty full on report on the housing crisis in our borough. The new mayor of Newham has slammed the loss of nearly 10,000 council homes under Right to Buy since the 1980s – saying the policy has exacerbated the bitter housing crisis in the borough. Labour mayor Rokhsana Fiaz has called for an end to the divisive scheme blaming it for swelling the number of private landlords in Newham. 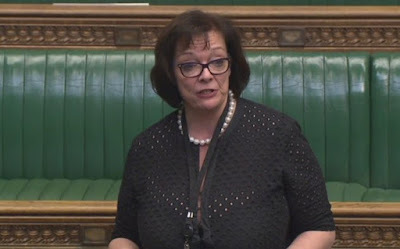 “Right to Buy is supporting the growth of the private rented sector rather than its original intention of supporting social tenants to purchase their own home,” she said. Some 47 per cent of social homes in Newham bought through Right to Buy are now in the private rented sector, according to town hall figures. Meanwhile 4,892 households are unable to find an affordable home and have sought council help for emergency housing. “The massive discounts of up to £108,000 [to buy council houses] in London, together with rules around the use of Right to Buy receipts has meant it is impossible to replace these desperately needed social homes and keep pace with growing demand for them,” said Cllr Fiaz. - Make the private rented sector safer and more affordable for families. But these measures are unlikely to make a significant dent in the 27,228 households currently on the council’s housing register. It comes as the Recorder’s Hidden Homeless investigation has revealed Newham has the highest level of homelessness in the capital. The staggering level of housing need has resulted in 3,292 households being moved out of the borough the five years to 2017, and 14 per cent out of London altogether to places as far away as Birmingham and Thurrock. There are now more homeless Newham households living in temporary flats, B&Bs and hostels than anywhere else in London. Private landlords are also taking advantage of this housing demand, “with many hiking up rents to a level our residents can’t afford”, said the mayor. Housing reform was at the forefront of the mayor’s successful bid to win power at the local elections in May. We asked for an interview with Cllr Fiaz to discuss housing policy. She was unable to meet the Recorder but provided answers to detailed questions. We asked why six years after the 2012 Olympics and the promise of significant numbers of new homes, Newham was at the forefront of the housing crisis. She also said in an ideal world the tens of millions spent annually paying for temporary housing would instead be invested in new affordable homes. She said a campaign on housing would be launched this autumn, but provided no more details on the specifics. In her first week in office she also met Mayor of London Sadiq Khan, deputy mayor of London for housing James Murray, and shadow secretary of state for housing MP John Healey to look at working together to solve the housing crisis. But, echoing other council leaders across Lodnon, she says the government needs to lift restrictions on local authorities borrowing to build homes. 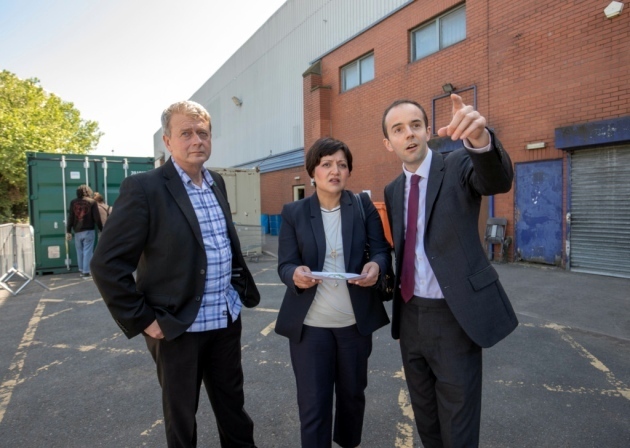 “I am working closely with the Mayor of London and other partners to ensure we maximise all opportunities and funding available to build more homes in the borough,” she said. 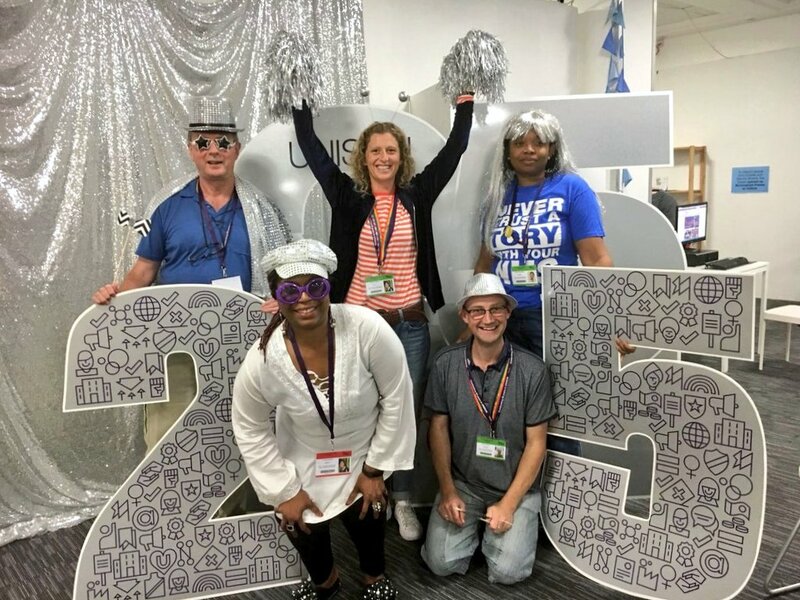 By branch activist, Naomi Adams, in picture of branch delegation celebrating the 25th anniversary of UNISON at conference. (Hands in air). "Ahead of attending the conference I went on the ‘Going to Conference’ one day training course and I highly recommend this for first time delegates. At this training they went through how to vote, explained the Standing Orders Committee Report, the Conference App, useful meetings to attend, how to speak at conference and many other things. They also give you a handy booklet which has lots of useful first time delegate information in it. It also meant that when I got to conference I saw some other familiar faces apart from my own delegation which was nice. For this conference I was a sharer which was nice because being there for the whole 4 days is pretty tiring and demanding! Being a sharer means that you have two credential badges which you share between the two of you. The red badge gives you access to the visitors’ gallery and the green badge gives you access to the delegate hall. You must meet with your fellow sharer and swap badges each time you take turns on the delegate floor. Here some details of some of the debates I sat in on. Conference celebrated the success of the NHS pay increase. But concerns were raised regarding Northern Ireland and the impact Brexit will have. Membership has increased by over 2000 and we are now officially the largest union in the UK! Unison forecasted a drop in income last year and predict the same for this year. This equates to a 10 million pound drop and this increases further when inflation is taken into account. The Trade Union Act has brought extra running costs. The Fighting Fund is now 32 million pounds and 505 fighting fund organisers have been employed since 2017. I can personally vouch for the success of this initiative as Optivo has had excellent support from our fighting fund officer. There were many excellent and inspiring speeches from women on this subject which is close to my heart. I found these speeches very inspiring and thought this year’s Conference Chair Margaret McKee, a catering assistant from Belfast was a truly inspiring woman who had carried out her tenure despite great personally tragedy due to the loss of her son who was shockingly murdered this year. The debates centred on investigating the barriers which prevent low paid women from engaging and taking senior roles in the union. The point was made that only two regions have Regional Women Officers and conference agreed that more of these posts would go a long way to solving recruitment problems in this area. This motion was carried and NEC will report back to conference 2019 with findings and recommendations. This was a very energetic and fiery debate on the 25 year strategic review. The NEC proposed this review to assess whether sufficient resources are being placed where they are needed rather than historically allocated. The current funding formula is based on single employer branches however branches like ours dealing with hundreds of private employers are now more the norm. The NEC proposes a strategic centre that supports strong organising regions and active branches instead of fragmented independent branches. Another important suggestion made was does the current overly bureaucratic model of self-organisation deliver the needs of the union. Could the system be streamlined in order to progress the equalities agenda more effectively? A lot of the bigger branches spoke against this motion and accused the NEC of trying to centralise control. The motion went to a card vote but did not pass. I think this is a missed opportunity and hope this gets resolved as I feel this review is really important. This was a very emotional debate in which the branch secretary for the K&C TMO got up to speak about the disgusting way this tragedy was dealt with and how front line staff were left to fend for themselves by the very people responsible for this awful event. As a Housing Officer who has always fought for fire safety improvement works I could really relate to this debate. Deregulation of fire safety controls, inspection and planning laws created this avoidable disaster. Conference welcomed the Labour governments progressive polices on housing such as committing to building 100,000 new council homes, introducing new legal minimum standards and control on rent rises. Also importantly people spoke on reinstating and enforcing independent fire safety and building regulations. It causes me great pain that 70 people had to die in order for this overall of the system to be carried out. I really hope these families are not left fighting for justice for 30 years in the same way as the Hillsborough families. With Unisons support let’s hope this does not happen. Overall I had a really inspiring and motivating experience at conference and I encourage new Stewards to go and see the bigger picture of Unison. It is very refreshing to be in an environment which continually strives for equality and opportunity for all and is such a new experience for me".